Segwit2x Abandoned – What Does This Mean for Bitcoin and its Community? Following an intense few months of debating, planning, and preparation, the drama behind the third Bitcoin hard fork has come to a halt. According to multiple sources web-wide, including Twitter, Segwit2x has officially been canceled. Due to the split in the community, the Segwit2x halt has caused equal amounts of outrage and joy. Since community consensus is the bread and butter of any decentralized system, Segwit2x was bound to encounter difficulties. As always, there were people angling to benefit from the hard fork. However, the overall response from the general Bitcoin community and developer camps has been overwhelmingly joyful. Mainstream media took little notice of the Segwit2x halt; instead, these outlets chose to report the most recent price record of $7,700 USD. Early Criticism from Influencers – Is Anyone Right? There was a degree of correlation between the price and the fork, but mainstream media didn’t pick up on that either. Within the community however, it was easy to see how much pressure SegWit2X proponents were facing. The “NO2X” hashtag became the tool of dissent on social media, and it might have had an effect on the outcome. 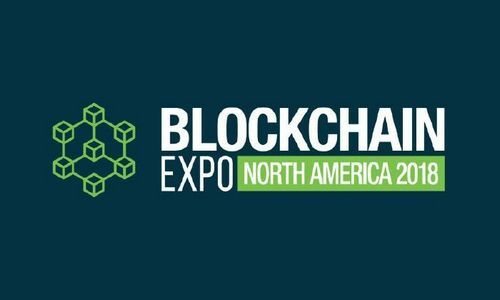 Starting with exclusive meetings specifically called to ‘protest’ Segwit2x, a large majority of developers, along with the influential business owners within the cryptocurrency community organized a high-profile protest against this fork. The social media campaign against SegWit2X might have had an effect. 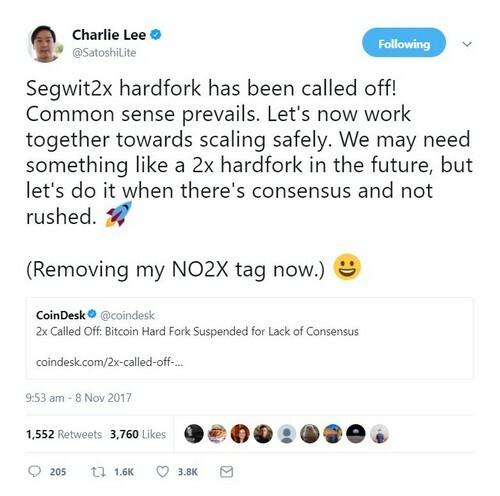 Nevertheless, influencers who added the “NO2X” tag to their names like Charlie Lee, are willing to debate block size increases. Source: Twitter. Everyone within the community is aware of the scaling issues. Debates around this topic started as early as late 2014 and the possibility of increasing the block size was floated around several times. While increasing the block size could be necessary at some point – influencers opposed to the fork like Charlie Lee acknowledged as much – it isn’t worth risking such a deep split within the community. Tensions within the community have indeed subsided since the news came out, allowing rational, common sense based thinking to take place again. Along with a strong opposition, a number of Segwit2X supporters were equally pleased to receive the news of abandonment. While the camp that opposed the hard fork’s overpowered 2X supporters on social media platforms, Segwit2X advocates certainly felt the draining nature of the situation. Segwit2x rejection was never a surprise, but the strong split between the miners, technologists, and community was. As a result, a sense of relief is evidently present in both camps, regardless of their desired outcome. 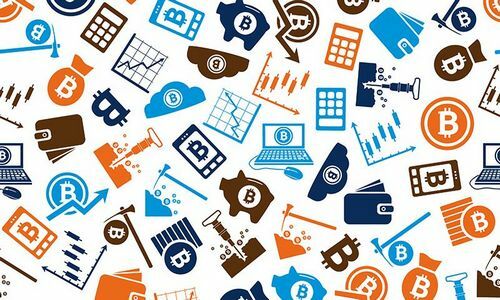 Since not all parts of the Bitcoin ecosystem voiced their support for the fork, Bitcoin has yet again proved itself as the currency of the people. What Happens Now? Is SegWit Still Relevant? Regardless of the abandonment of Segwit2x, the SegWit soft fork is already in place. 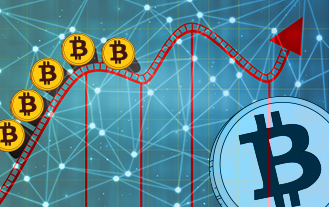 With SegWit, Bitcoin has already evolved and benefited from numerous features such as decreased signature volume to increase transactional data capacity. The Bitcoin community has thus a solid base to build upon. 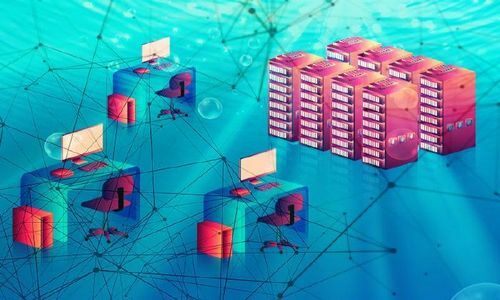 Along with an overall sense of relief, there is a motivated developer base to make the king of cryptocurrencies thrive with efficiency. This will however, require patience. Development by consensus is an arduous process. Previous Article How much would female reproductive health cost in your state without Obamacare?